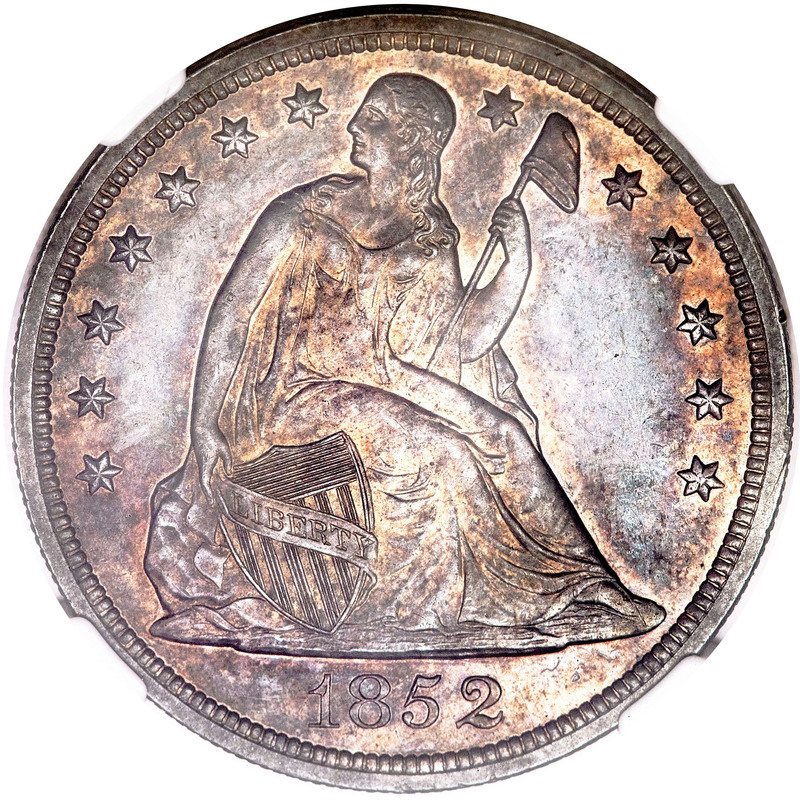 It is a relatively simple matter to tell the difference between Original and Restrike 1851 silver dollars, as discussed above. 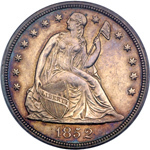 Distinguishing the varieties of 1852 is much more difficult. 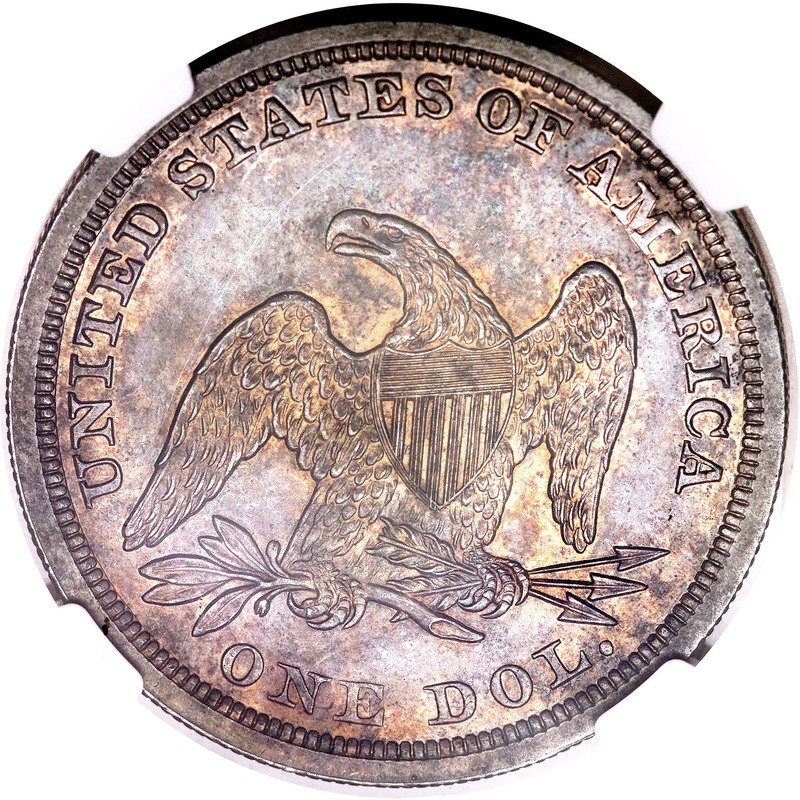 Compounding the matter is the existence of both Original and Restrike examples in Proof format. Of course, all of the business strike dollars of 1852, such as the coin offered here, are considered to be Original strikings produced in that year. 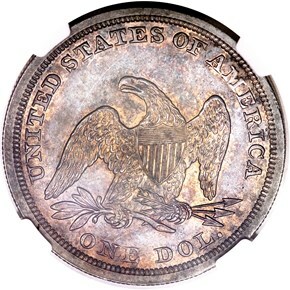 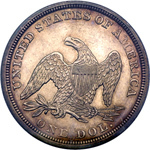 It is believed that all Original 1852 Seated Liberty Dollars were made from a single die pair, which we will describe.